John’s yard at Blackford Glen can be seen as a place of learning. We all learn from each other and give freely of our time to pass on what skills we have developed over the years. The Blackford portfolio of skills includes the following:- Western Riding lessons, Beekeeping, Saddle fitting and procurement, Gardening, Photography, as well as Veterinary advice and Care. Human beings use 20,000 spoken words to communicate with other human beings. We need far fewer words to communicate effectively with horses. Horses use a language of gestures, a sign language, expressive and complex. They don’t waste words. They live in the present so don’t need to talk about the past or the future. They accept what life presents to them. They run away from it, fight it, or go with it, but seldom feel the need to talk about it. To begin to be at one with our horses, we need to be more like them. Young horses learn horse language from older horses. By trial and error, they find the appropriate response to any given gesture. When they get it right, the gesturing will stop. When they get it wrong, the gesturing will become more animated. When they argue, they can expect the gestures to become increasingly aggressive. Novice, and not so novice horses, learn our cueing language in the same way. When we apply pressure of some kind to their minds and bodies, they try everything they can think of to get us to stop. By trial and error, they find the correct response and we remove the pressure. Through time they learn that for any one pressure we might apply there is only one response that will get us to stop applying that pressure. All of the other responses they may think of are a waste of their time and energy. Removing the pressure is not, as some people think, a reward. It is the answer, “Yes, that’s what I want”. John teaches the language that horses and riders must understand if they are ever to move as one. 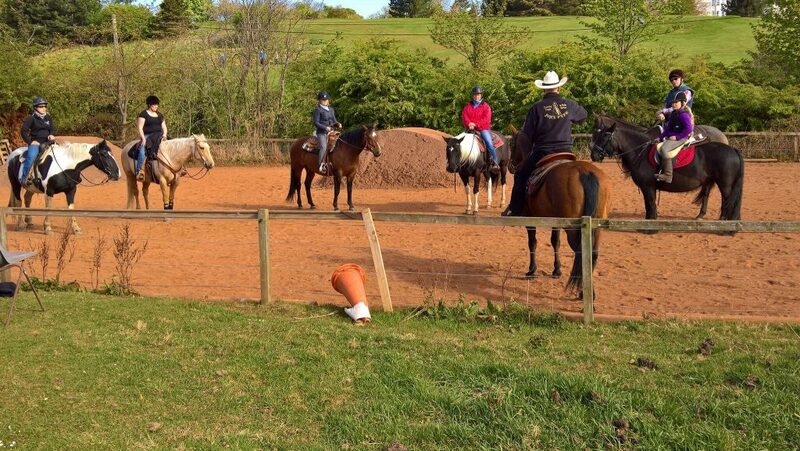 • In-depth teaching of the language of communication between horses and their western riders. • Advice and tutoring in horse training techniques which prepare horses for a career as a western riding horse. • Advice and tuition for riders leading them to success in western showing, or to safer and more rewarding trail riding. • In association with Rahel Vontobel, advice on western saddle fitting and procurement. • Advice on risk management and health and safety measures in relation to trail riding and staging of equine events. • Invite people to attend his own clinics. • Host like-minded instructors, trainers and experts to run clinics, seminars and demonstrations at Blackford Glen. 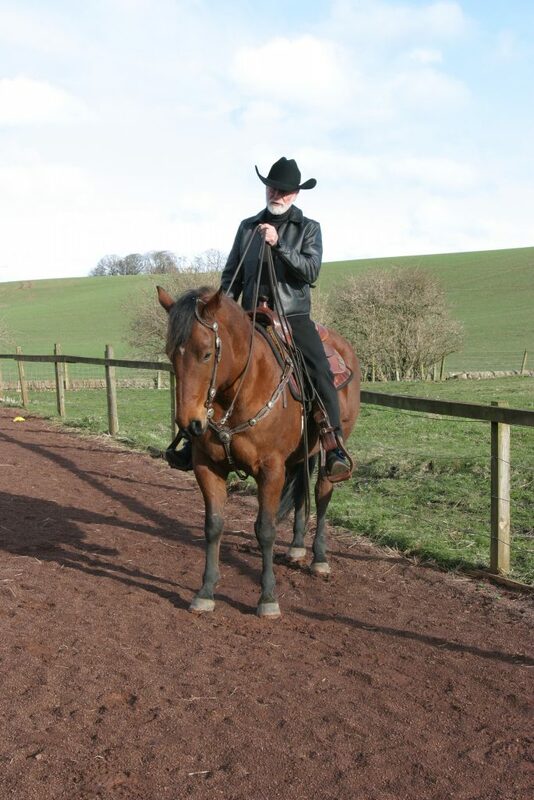 John works from Blackford Glen but will travel to meet clients’ horses. You can reach him via this website’s contact page. Rahel Vontobel was born in Switzerland but has lived in Scotland since 1999. Her background is as a bookseller, but she has recently become the Managing Director of an established translations company based in Edinburgh. The company’s customers are based throughout Europe. Rahel first discovered horses as a child, spending most holidays at a farm in Switzerland, and has since followed the example of several recognised teachers and trainers from the horse world, such as her childhood hero, Jean-Claude Dysli. Most of the people she respected practised in the western way. What they did made sense to her. She now owns Laurel, known to her friends as ‘The Galumph’. Laurel was an English riding school horse who has settled in at Blackford Glen, now rides bitless and loves the western way almost as much as she loves Rahel. Having decisively adopted the western way, Rahel sees that expertise in such things as western saddle fitting is hard to come by in Scotland. 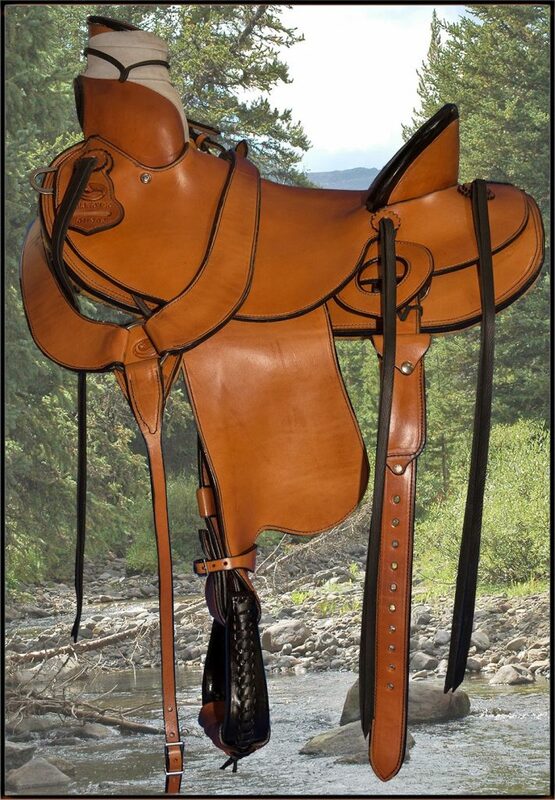 Procuring reasonably priced western saddles which will actually fit the horses that will carry them, is often difficult and sometimes a seemingly impossible task for the average rider. With John’s full encouragement and support, Rahel has built up a level of expertise which is enabling her to advise people on saddle fit and help them to procure appropriate saddles. As a fluent German speaker, she has a decided advantage over the rest of us in that she is well-positioned to establish the best specifications and obtain advantageous deals from several European manufacturers and suppliers. Procurement of well-fitting saddles from America is no more difficult but can sometimes be more expensive. She works from Blackford Glen but will travel to meet clients’ horses. You can reach Rahel via this website’s contact page. 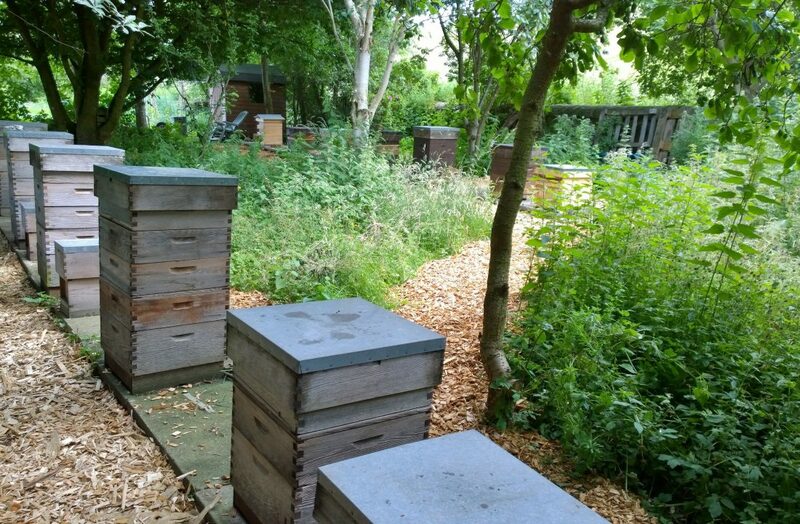 The apiary at Blackford Glen has between 10 and 20 hives depending on the year and season. This year John and new beekeepers Peter and Mario have bees here. John learned much of the art of beekeeping as a teenager from his father, a master beekeeper, who kept bees for 76 years (from when he was 14 till he died at 90). Teenagers, however, never listen enough, so it took several years and experience after his father’s death for John to understand bee husbandry enough to be sure that he had replicated his father’s methods. John’s father’s legacy has now been developed and tested with John over the last 30 years. He shares this experience with anyone who wishes to learn about bee keeping and management. The bees forage on the Blackford Hill and surrounding land. Their main source of nectar and pollen comes from gorse, broom and the trees of the Hermitage Valley. Gorse and broom bushes bloom in profusion on the hillsides for the better part of spring, summer and autumn, so the bees produce honey with a consistent and distinctive flavour year on year. Honey, surplus to the bees’ own needs, is harvested in mid-August and is generally bottled for sale in September. Unlike many commercial honeys, Blackford Glen Honey is not heat-treated before or after bottling. 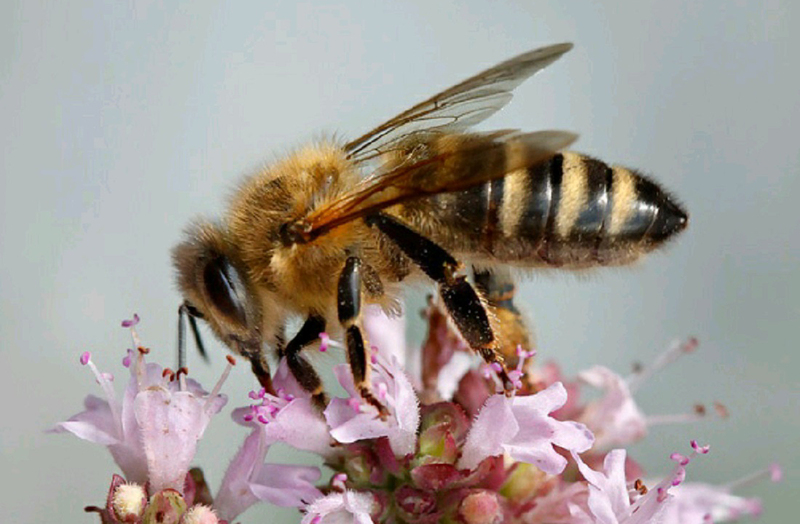 It, therefore, remains as the bees intended – its properties unadulterated. You can contact John through this website’s contact form. We are an Edinburgh based workers’ cooperative whose central philosophy is that herbal medicine is the medicine of the people and should be accessible to everyone. 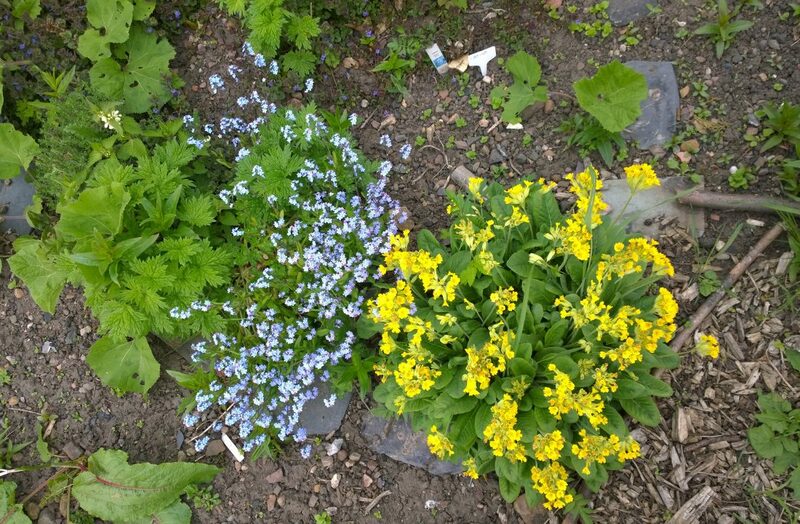 We offer a series of practical courses and workshops, run the low cost Wester Hailes Community Herbal Medicine Clinic, a private clinic in Granton, the Blackford Glen Medicine Garden and produce simple resources to enable folks to practise herbalism at home. As a Co-op we are members of the Scottish Radical Herbal Network, the Association of Foragers, the Scottish Wild Harvest’s Association, The Herbal Unity Collective, Herbalists Without Borders UK and the American Herbalists’ Guild. Scott is a self-employed Gardener and General Builder trading as SW Property Maintenance. 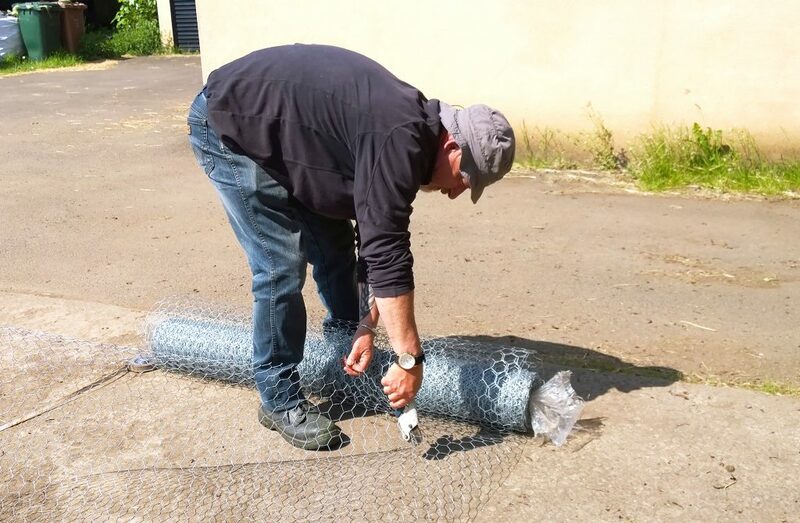 His 30 years experience of gardening and property maintenance make him well placed to assist John to keep Blackford Glen grounds and pastures in good order. He describes himself as a gardener and painter in equal measures, who generally works alone to keep costs down for himself and his clients. However, if the job requires it, he has associates to cover most other trades. He is friendly, reliable, considerate, holds Public Liability Insurance cover of 2 million pounds and is PVG Registered with Disclosure Scotland. Contact him on 07981 696 609 and he will advise and quote for most household, office or garden maintenance work. In addition, Scott is a landscape photographer of xome considerable experience.